Please review the Blog Post on Fresh Wasabi Leaves and Stems at our new Blog site at Wasabi Crop Blog. Wasabi Leaves and Stems are traditionally used in Japanese cuisine for pickled sake lees. 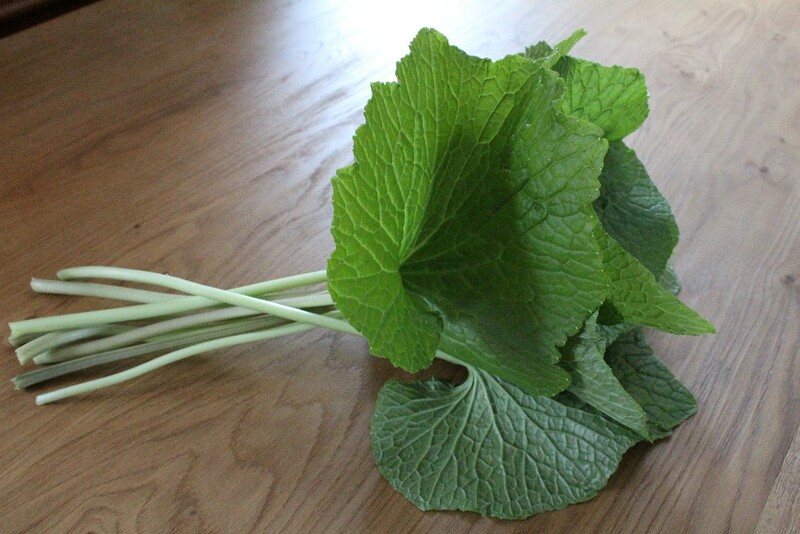 The crunchy large heart shaped wasabi leaves and stems are delicious and highly in demand outside Japan. The heat of wasabi is more prominent in stems than leaves but overall the heat is always greater in the prized rhizome!